Are you a football fan? Yes? Then you are no doubt gearing up for a big game in a couple of weeks. We are in the midst of the playoffs and I find this time of year perfect for parties. Friends gathering, lively enthusiastic cheering, and lots of excitement tend to be hallmarks of any playoff game. This is the type of gathering that calls for an easy spread that both guests and hosts can enjoy while still having time to watch the game. 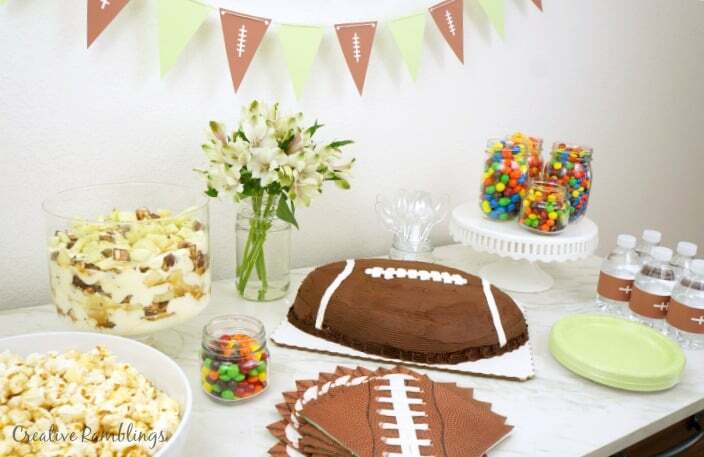 Check out this Sweet Super Bowl Party Spread and use these tips to plan your next party. When I throw a party I try to find ways to decrease my stress level so I can enjoy my guests and the food while it’s still fresh. 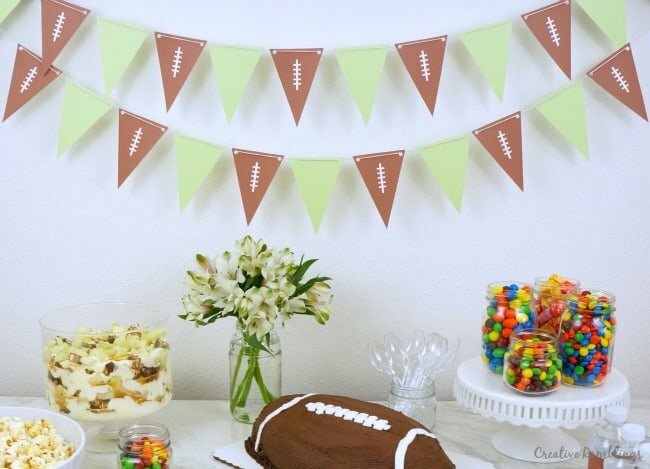 This Super Bowl party spread combines a few DIY decorations and entertainment, some store bought treats, and one knock out dish that together will really impress guests. The best part, once it’s set up I get to sit back and enjoy the party with everyone else. 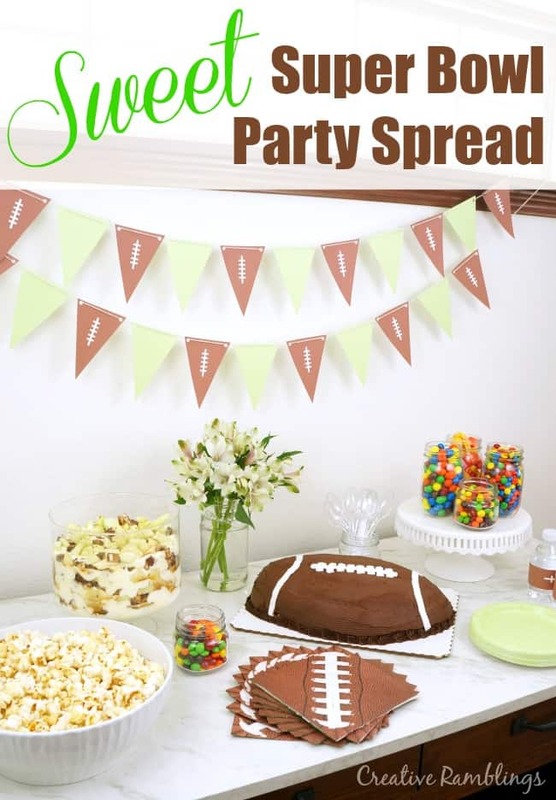 This sweet spread is ideal for a party that will run well after dinner. I like to set everything up before guests arrive then let them help themselves to snacks as we all enjoy the game. If I want to relish in my own party, I make sure to have a good mix of easy store bought items and decorations alongside homemade dishes. My guests get a beautiful buffet and I am not worn out by the time they arrive. My goal for this party is to have little sweets guests can savor while watching the game. Skittles, Starburst, and M&M’S, all official sponsors of Super Bowl 50, fit this bill perfectly. Displayed in simple mason jars guests can help themselves. 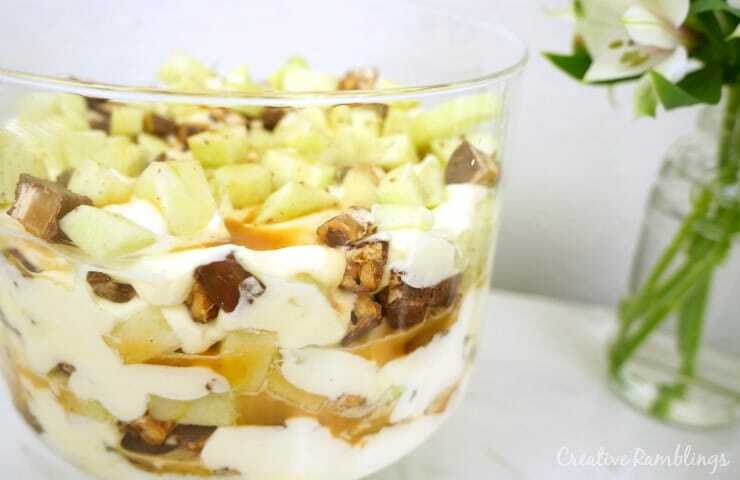 My knock out dish to really impress guests is a Snickers Caramel Apple Trifle. I have had this salad many times, but something about layering all the ingredients versus mixing them together really makes this dessert stand out. Prepare pudding according to directions and refrigerate to set. Core, peel and chop apples into bite size pieces. Unwrap and chop Snickers bars into bite size pieces. Mix these together and set aside. Once the pudding is set, fold in the tub of whipped topping. In a trifle dish layer pudding mixture first followed by candy and apples, then drizzle with caramel syrup. Continue layering until the dish it filled. 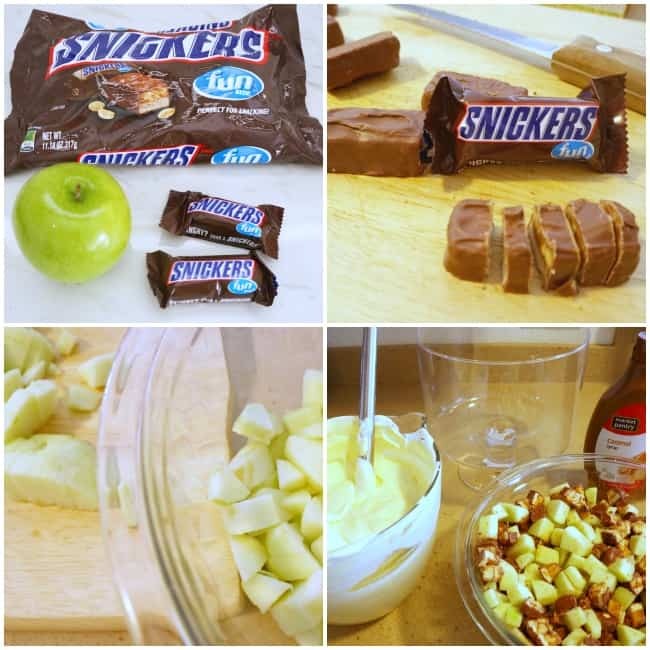 Top with apples, Snickers, and a drizzle of caramel syrup. 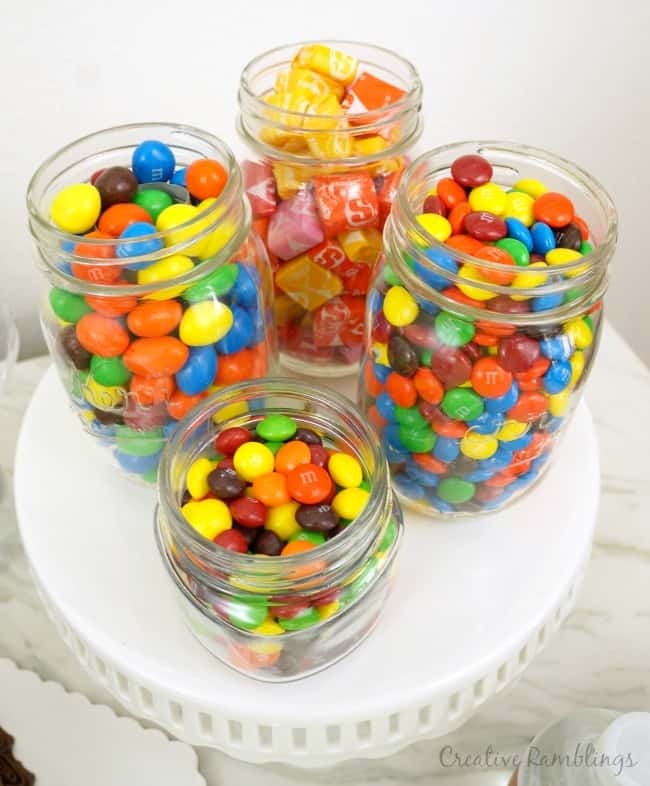 To decorate my buffet table, I like to start with mason jars and white dishes along with a fresh bouquet of flowers. 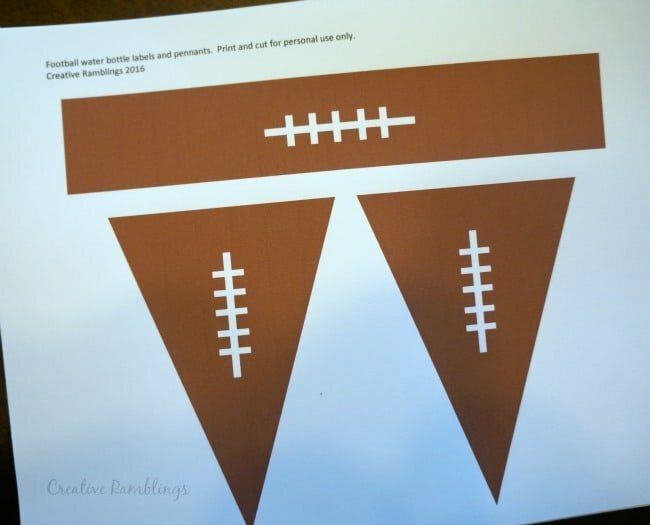 For this party, I’m using printable football pennants alternating with plain green ones. I’m also using printable football water bottle labels. You can download and use both here. Simple is always better in my book. Keep the table clean, add a few pops of color, and let the food do the talking. 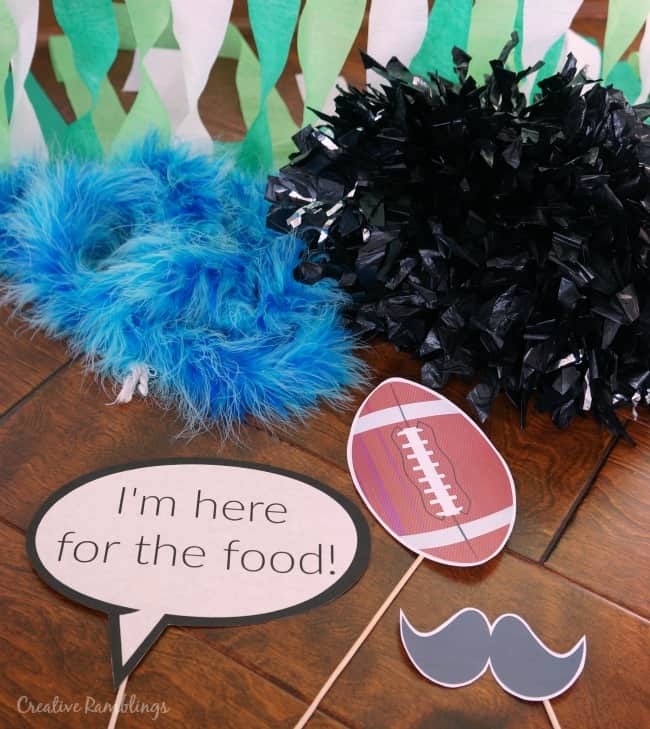 If a sweet spread and an exciting game aren’t enough, I’m also planning a little photo booth fun. These are so easy to set up and guests really like them. I simply twist some crepe paper and use painter’s tape to attach it to my ceiling and floor. 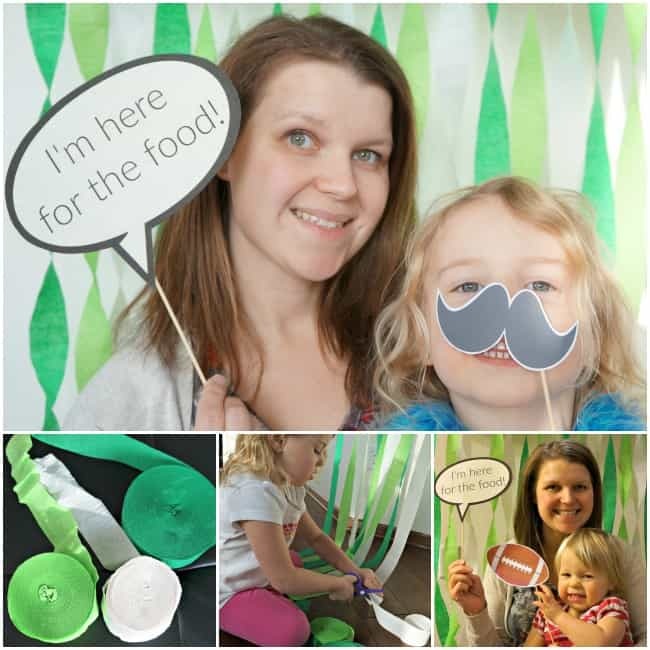 Then I print these photo booth props, cut them out and add some sticks. Instant fun! I hope you’ve found some inspiration here. 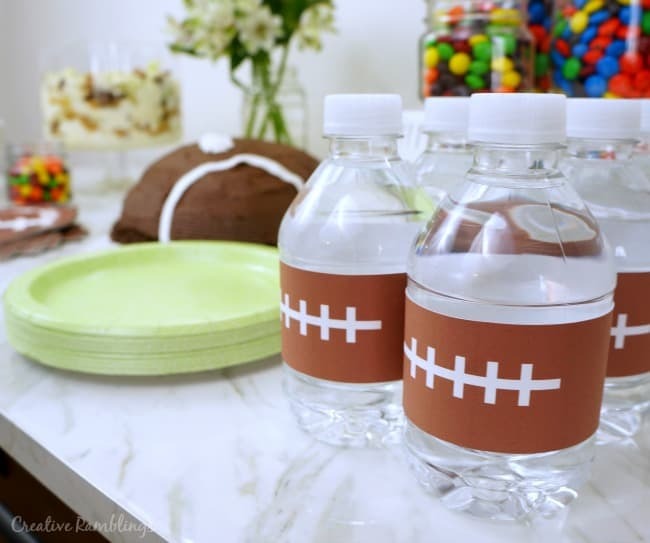 Use these tips and printables to throw a sweet Super Bowl party and enjoy every minute of it. I want to hear about your Super Bowl party, tell me your plans! 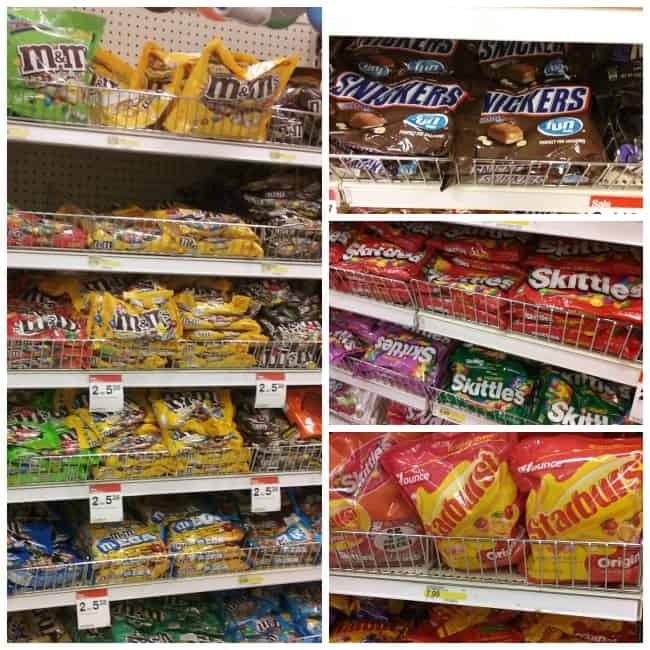 I highly encourage you to check out Targetyoursweettooth.com for tons of fabulous football inspiration.